Fletcher Benton, painted steel, 1985. 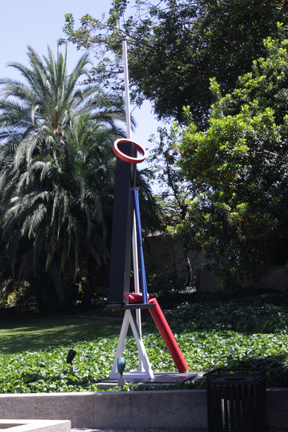 City of Beverly Hills, Fine Art Commission, Gift of Dr. Bernard Salick. Maltz Mini Park, Sunset Boulevard.